Two thousand thirteen is an excellent vintage for Brunello di Montalcino. 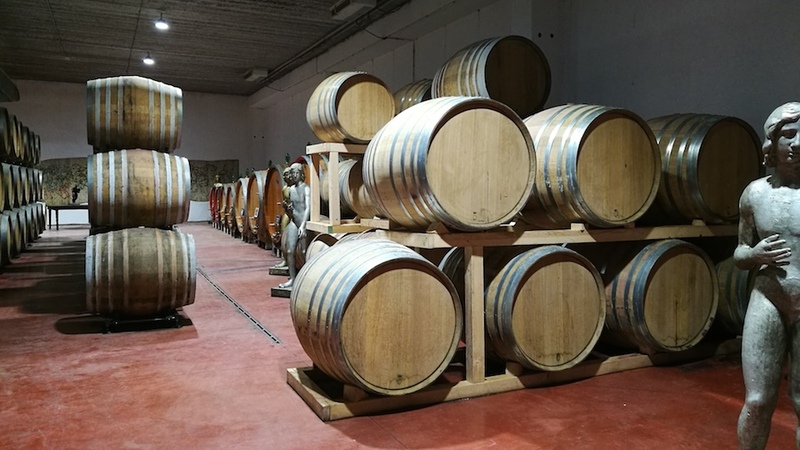 If it is not quite the epic vintage that it appeared to be from cask, it is undoubtedly one of the better years for Brunello in some time – along with 2010, 2001, 2006 and 2004 in that order. The 2013 Brunellos are far better balanced than the overrated 2011s, and they are deeper and more penetrating than the 2012s. Clearly, the 2013 Brunellos will leave those weaned on big, rich, tannic, high-pH wines scratching their heads, but those who prefer their Sangiovese restrained and refined will be grinning from ear to ear. Moreover, 2013 stands out because outstanding Brunellos were made all over the denomination’s (much too) large area under vine. While it is customary to expect the southern reaches of the production zone to fare better in cooler years such as 2013 and 2008 and the northern reaches to spring ahead of the pack in warmer vintages like 2007 and 2009, the growing season of 2013 yielded outstanding Brunellos from all of Montalcino’s quadrants as climatic differences between them were minimal. The best 2013 Brunellos are sleek, refined wines with high acidity, well-integrated tannins and a cool-climate character. As the majority of these wines clock in between 13% and 14% alcohol, very few of them are marred by cooked fruit character or obvious alcoholic warmth – in contrast to such recent vintages as 2012 and 2011, in which many wines reached 15%. Although the best 2013 Brunellos will undoubtedly age well, the majority of them offer surprising early appeal, owing to their balance, ripe fruit and aromatic expressiveness, so you will not necessarily have to defer gratification if you purchase these wines. In fact, thanks to their freshness and gracefulness, the 2013s will prove very successful as restaurant by-the-glass pours as well as versatile at the dinner table. The other good news for wine lovers this year is just how good the 2012 Brunello Riservas are. In fact, off the top of my head I cannot remember when I so thoroughly enjoyed tasting one Brunello Riserva after another. As I wrote last year in my article on the 2012 Brunellos, this was a much better vintage than 2011 and many more producers set wine aside for making Riservas in 2012 than they did in 2011. For the most part, the 2012 Riservas are very good examples of everything Brunello Riservas should be but rarely are: deeper, bigger and more complex wines than the classico bottlings, with a mellow aspect given their extra time and oxygenation in mostly large used oak barrels. In other words, the ’12s are not the tired, overly tannic, fruit-challenged wines that are commonly passed off as riserva. Brunello can be made from more than 2,000 hectares of vineyards. Clearly that’s a lot of real estate from which to produce wines of consistently high quality. To put things in perspective, as I have written numerous times before, Burgundy’s Musigny grand cru, for example, encompasses only about 12 hectares. Clearly, as the Brunello production zone is so large, Brunello di Montalcino on the label is not a guarantee of high quality. Furthermore, the lack of a cru system ignores one of the great strengths that Montalcino should showcase: the fact that very different wines can be made within the denomination’s borders from its disparate terroirs. There really are easily recognizable differences between the wines made from the area’s different subzones and districts, as my upcoming book on Italy’s native wine grapes and terroirs will demonstrate. And while some wines clearly do not have the pedigree of the denomination’s best examples (mainly as a result of soils that are not suitable for the production of truly great Sangiovese wines), in many cases it is not so much a matter of some being better or worse than others but rather being different. In fact, this is much the same as Bordeaux wines from Margaux showing different characteristics than those of Saint-Estèphe, or, in the case of Alsace, Rieslings from the Rangen being different from those of the Osterberg and Hengst. All of these wines can be enchanting, and, in my view at least, they are made that much more interesting by their subtle – and at times not so subtle – terroir induced diversity. In Montalcino, the wines of Camigliano are completely different from those of Castelnuovo dell’Abate (the former are more savory, the latter sweeter and more driven by ripe fruit), as well as from those of Torrenieri (lighter in style and less structured), Sant’Angelo in Colle (balanced and refined), Montosoli (wines of utmost elegance) and Sant’Angelo Scalo (big and ripe, sometimes too ripe). It seems to me that Montalcino’s producers, just like the vignerons of Alsace, or Germany, Burgundy, Oregon, New Zealand and myriad other places known for their single-variety wines have a powerful place card to play. Implementing a cru system in Montalcino would create an awareness of the different subzones and add value to the wines. In any case, it is in cooler years that terroir speaks loudest, at least in the sense that it shows through in the glass remarkably clearly (in hot years, a wine’s aromatics are often compressed). It is captivating to see just how well the “grand cru” Montosoli area of Montalcino performed in 2013 (Montosoli is Montalcino’s single most prized vineyard area). For example, the outstanding wines of Altesino, Baricci, Canalicchio di Sopra and Le Gode were all made with grapes grown there. 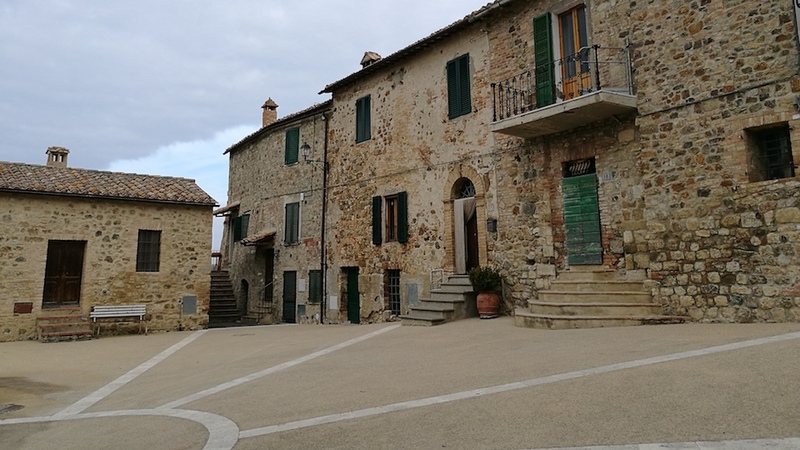 But the area of Sesta, located in the westernmost sector of the Castelnuovo dell’Abate subzone in Montalcino’s southeast quadrant (far removed from Montosoli) is also remarkable for its line-up of memorable wines in 2013. Knockout Brunellos from Sesta include those of Agostina Pieri, Collosorbo, Piancornello, Sesta di Sopra and Tenuta di Sesta, all of which are among the best 2013s I tasted this winter. The fact that a northern site such as Montosoli and a southern zone such as Sesta performed equally well only reinforces my assertion that in 2013 you can get a great bottle of Brunello from just about anywhere in Montalcino. Unfortunately, Brunellos are never inexpensive wines, and early prices for the better 2013s are not gentle. Consumers have many, many other outstanding choices from Italy and all over the world in the $100 to $150/bottle price range. 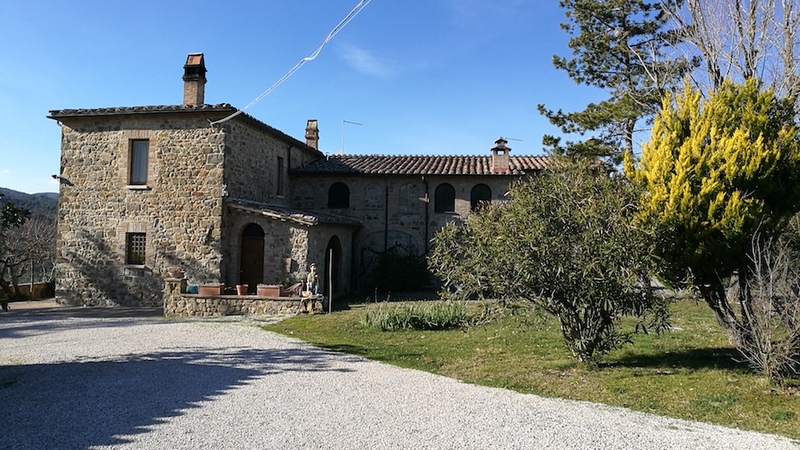 But numerous small, relatively little-known estates in Montalcino have made remarkably good wines in 2013, at prices that are often relative bargains. Names such as Agostina Pieri, Camigliano, Collemattoni, Collosorbo, Le Chiuse, Le Gode, Pietroso, San Filippo, Sesta di Sopra, Tenuta di Sesta and others are worth searching for. Many better-known estates, such as Altesino, Baricci, Canalicchio di Sotto, Casanova di Neri, Caprili, Le Potazzine, Piancornello, Poggio di Sotto, Salicutti, Salvioni, Valdicava and Voliero have made memorable wines too, in many cases even better than their already very impressive 2012s. But these 2013s are bound to cost you a pretty penny. The 2013 vintage was a throwback to the classic years of the 1970s and 1980s. The season began with a cold winter and a rainy spring, which led to a reduced and uneven flowering. The first part of the summer was then cool but warm temperatures in August and early September made all the difference in enabling the grapes to ripen fully, if slowly. At many estates the harvest took place as much as two to three weeks later than in other recent years. Still, with rain in the forecast, some estates pulled the trigger too quickly, before their fruit was physiologically ripe. Other producers chose to wait out the rains and harvested in October, in some cases bringing in fruit that produced wines with cooked or stewed aromas and flavors. Overall, production was off by roughly 30% from recent years. Clearly, the absence of excessive heat during summer and good diurnal temperature variation established the character of the 2013 Brunellos as relatively high in acidity, perfumed and easy to drink owing to their intense ripe fruit, and the best examples will undoubtedly age well. A surprising number of producers I visited or spoke to told me they believed the 2013 vintage to be close in quality to the much more famous 2010. Granted, the world of wine is one in which “vintages of the century” seem to be a dime a dozen (clearly, they are not), but to view the wines of 2010 and 2013 as of comparable quality is not realistic. However, it is only fair to recognize that 2013 is an excellent vintage, better than both 2011 and 2012, two growing seasons that were both hotter and drier than 2013. In 2013, many outstanding, classic, perfumed Brunellos were made, but the vintage’s less successful wines are often marred by green, vegetal streaks and lack a little fruit and structure. Overall, 2013 will be remembered as a vintage of very classic, sleek wines not unlike those of 2008, but I’d say the 2013s show more flesh and dimension. 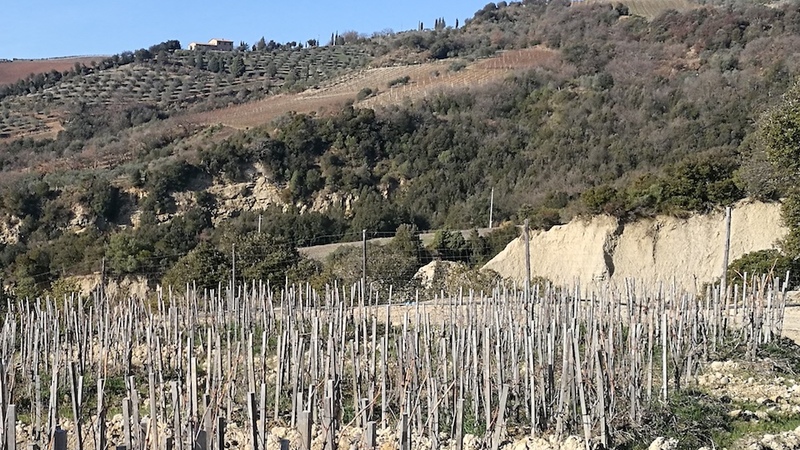 The wines in this report were tasted in January and February of 2018 during my visits to the Montalcino area as well as in my office in Rome. Unfortunately I was unable to review a few wines from well-known estates (including Pian dell’Orino and Stella di Campalto/Podere San Giuseppe) because, as luck would have it, I had to cancel one of my trips to Montalcino when Italy experienced a freakish spell of snow and bad weather. I plan to add reviews of missing wines in the next month. However, Biondi-Santi will not be among the new additions, as the estate has initiated a new policy of releasing its Brunellos roughly six months later than previously – along with a library release – so I’ll get to those wines at another time.